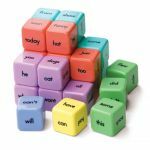 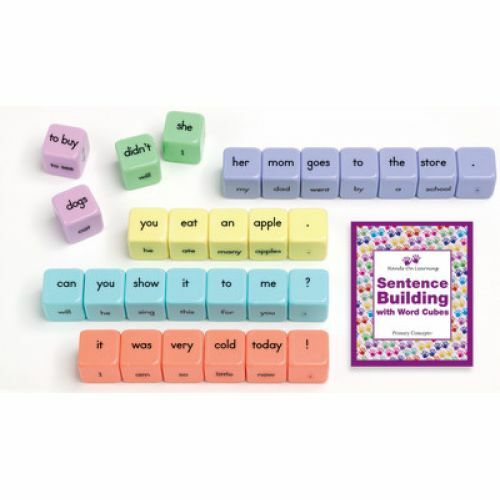 Explore grammar and usage conventions in a fun, non-threatening way with these colorful word cubes. Sturdy 11⁄4" plastic cubes have a related high frequency word on all six sides. 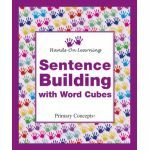 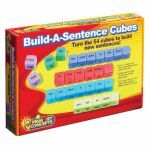 Sentence Building with Word Cubes teaching guide provides step-by-step lesson plans. 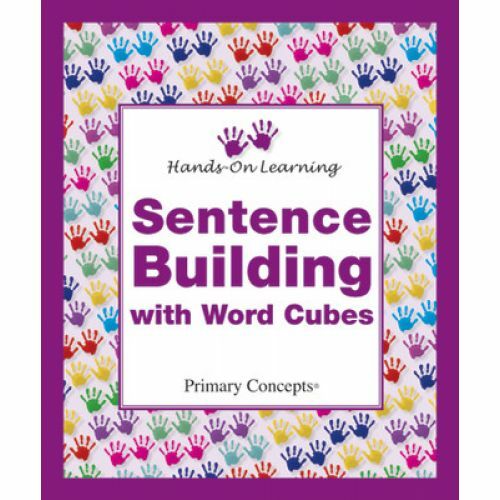 Children build sentences, then vary them just by turning one or more cubes. 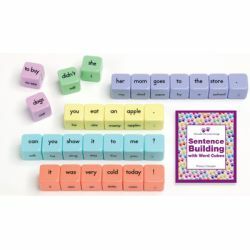 Each of the six color-coded nine-cube sets explores a different sentence structure. 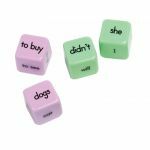 Change declarative sentences into interrogative ones or present tense into past, affirmative into negative, and much more. 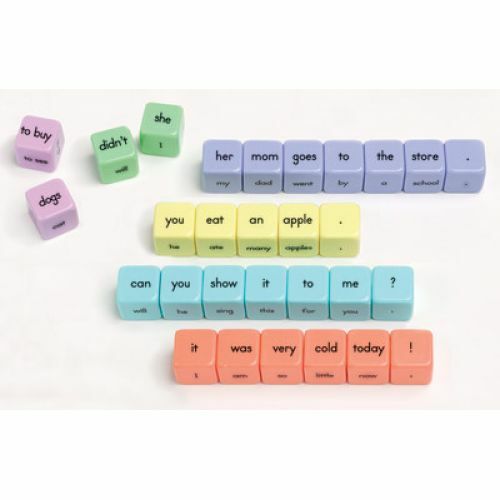 Especially useful for identifying children with syntax problems or working with ELL students. 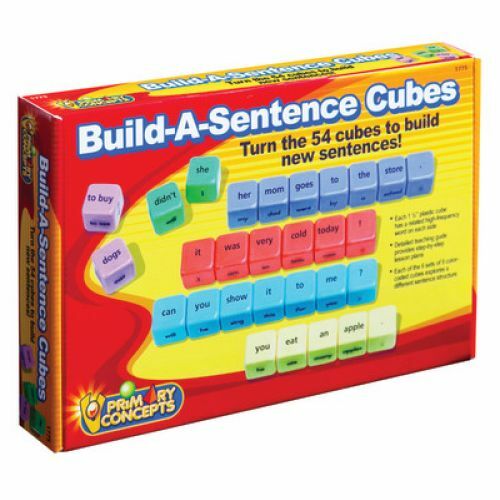 54 cubes.